Since 1995, J.D. 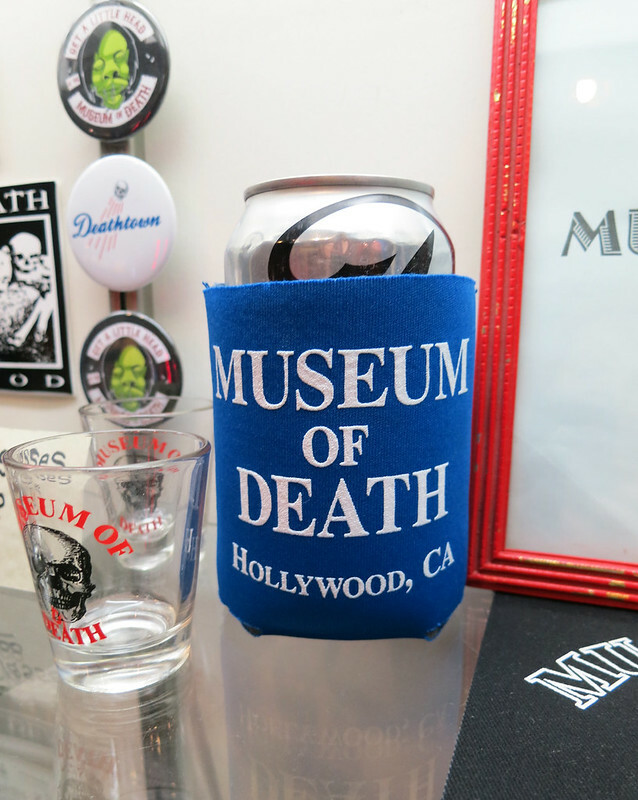 Healy and Cathee Shultz have operated the Museum of Death, a fantastic curated collection of items related to death. 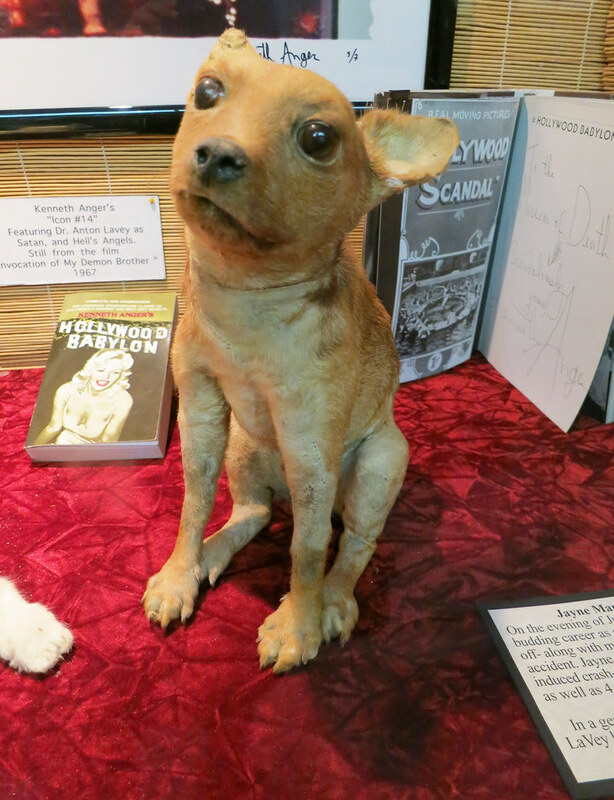 Their website states that they “realized the void in the Death education in this country and decided to make Death their Life’s work.” On a recent visit to Los Angeles, I stopped by the museum with pals, Art of Bleeding’s Rev. Al and Moonshine Baby’s Auriana, to take the museum’s self-guided tour. 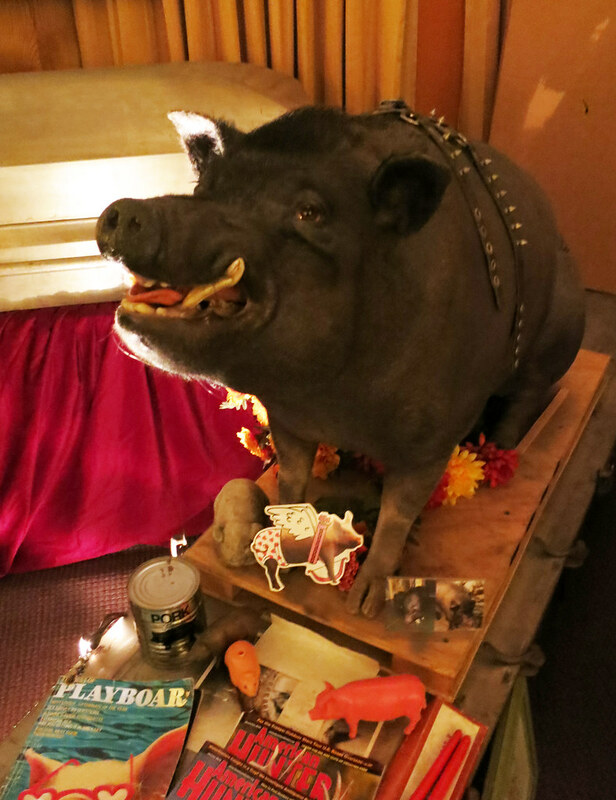 While gruesome at times (it’s certainly not for sensitive individuals), I was impressed with their massive collection of morbid curiosities and could not recommend it highly enough for visitors to the area. The entire set of images from my visit is available to view at my Flickr page. Be sure to take a look at this video, directed by Ron Eshel, that talks with J.D. 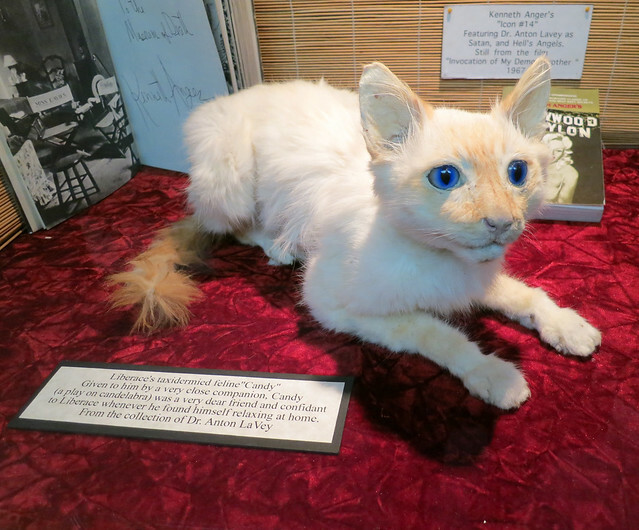 and Cathee about their museum. Also, the couple will star in a new original series, based in the museum, tentatively titled “Death Dealers,” which debuts November 28, 2012 on Discovery’s Science Channel. 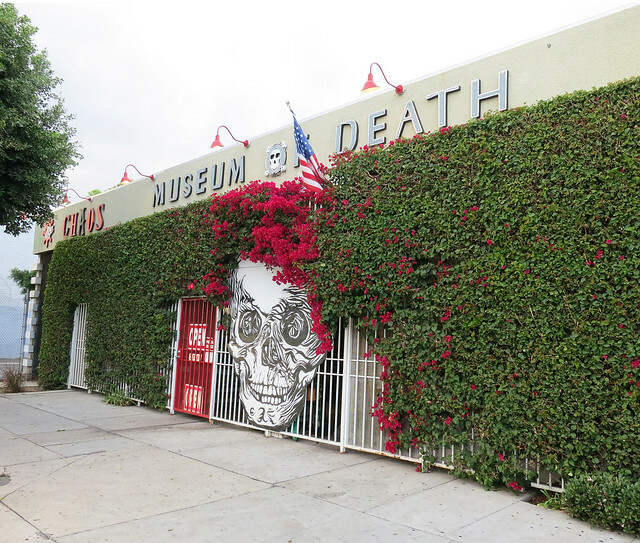 The Museum of Death is located at 6031 Hollywood Boulevard in Hollywood, California. 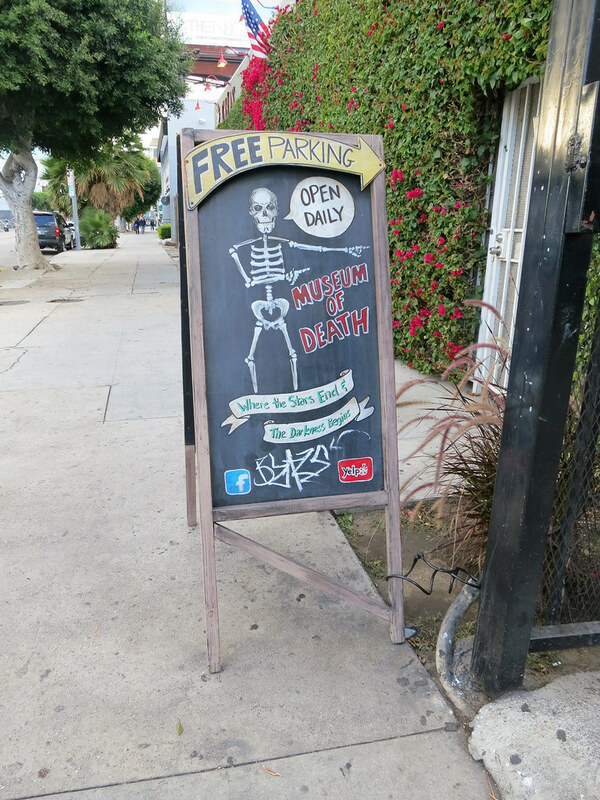 …the Museum of Death houses the world’s largest collection of Serial Murderer Artwork, Photos of the Charles Manson Crime Scenes, the Guillotined Severed Head of the Blue Beard of Paris, Henri Landru, Original Crime Scene and Morgue Photos from the Grisly BLACK DAHLIA MURDERS, a Body Bag and Coffin collection, replicas of Full Size Execution Devices, Mortician and Autopsy Instruments, Pet Death Taxidermy, and much much more! 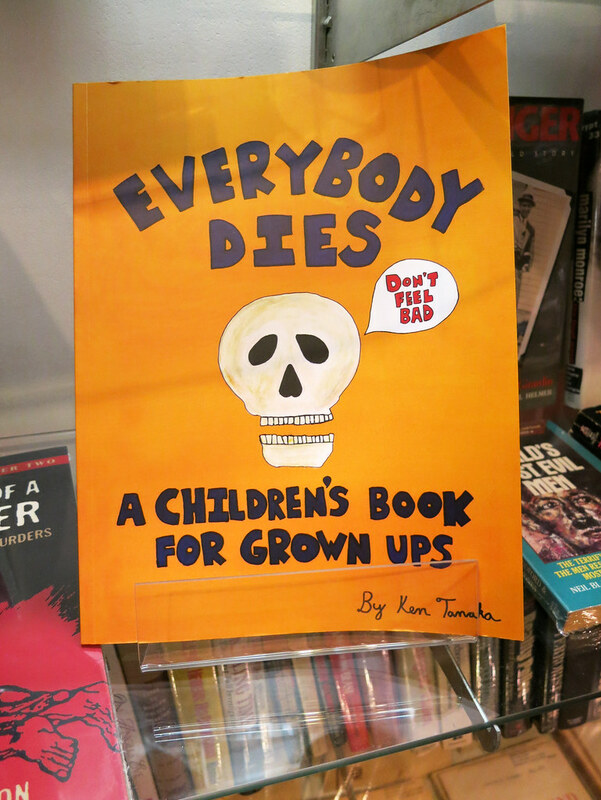 Also on display are videos of autopsies and serial killers, the Heaven’s Gate Cult recruiting video, and the infamous Traces (not faces) of Death video, all real (not re-enacted) Death footage. 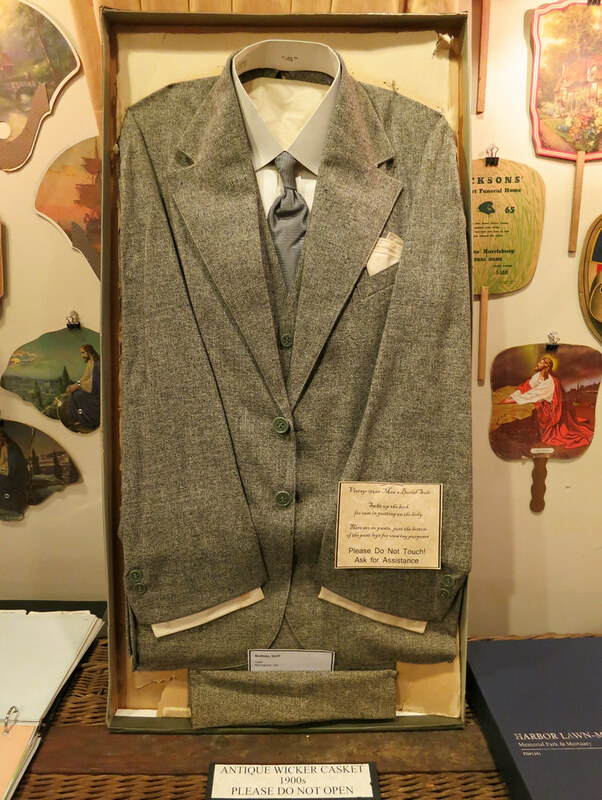 This is a vintage men’s burial suit, it is split up the back for ease of putting it on the deceased person’s body. Also, there are no pants to this suit, as it is for viewing purposes only. Special thanks to Cathee for allowing me to take photos (and being so awesome)!